Our directors combine a wealth of knowledge and decades of industry and government consulting and operational experience in business and technology. Each director remains actively involved in the operations of the company and the management of projects. Greg has been a director of BSR Solutions since 1986, and a management consultant since 1975. His industry and government consulting experience spans ICT strategic planning; project management; business analysis; organisational reviews; cost benefit analysis; change management; BPR/BPO; procurement; business case preparation; and project post-implementation reviews. Greg has provided strategic advice to senior management, and developed ICT strategic plans and associated business cases, for more than 80 NSW Government agencies and public utilities. He holds a Bachelor of Science (Engineering) Degree from Dalhousie University in Canada, and is a member of the Institute of Public Administration of Australia (IPAA). Until the end of December 2004, Robert was Deputy Director-General of the NSW Department of Commerce and was responsible for the Office of Information and Communication Technology (OICT). As head of OICT, Robert’s role was to develop, drive and deliver the strategic information management and technology agenda for the NSW government. Robert has extensive knowledge and understanding of public sector processes and networks at senior executive level. 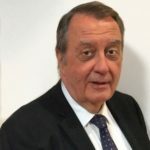 Robert’s expertise covers ICT procurement, contract, risk and stakeholder management, as well as solution design, planning, resourcing and financial control. Prior to his 15 years in NSW Government, Robert worked in the commercial sector for over fourteen years in Telecommunications services, product development, sales and marketing management. This experience was gained in organisations including Bayer Australia, Comalco Ltd, Telstra and OTC. Bill Barrett was a co-founder of BSR Solutions in 1986. Before entering the consulting profession, Bill had 16 years of experience as a senior executive in the finance industry. He has also been actively involved in information technology (IT) within industry and government sectors, working with inter-departmental committees to establish guidelines and principles for government organisations in relation to IT. 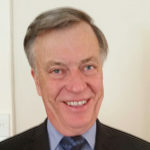 Bill has been involved in numerous assignments for major organisations, including the development of strategic IT plans, business cases, program and project management, and quality reviews for government agencies, utilities and private sector organisations. Bill is a member of the Institute of Public Administration of Australia (IPAA).